In our watch store you will find a wide range of known brand manufacturers such as Hamilton watches, Junghans watches, Citizen watches and many more. Besides our Swiss made segment, we offer a big assortment of wrist watches that can convince with many functions and features apart from their regional origin. The timepieces of Meistersinger leave traditional patterns and delight with single-handed watches that define a new time perception, which brings certain peace in our hectic world. In contrast to the luxury of not minding a single minute, the sporty chronographs from Certina embody the agility and dynamism of todays society. Its uniqueness is based on the patented DS crown which enables a high water resistance and a strong robustness of these Swiss timepieces. 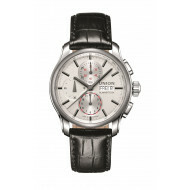 You will find a part of German history next to sports watches in our watch shop. The minimalistic timepieces of Junghans are characterized by a balance between technology and minimalistic design providing a high appreciation and documenting a considerable history of watchmaking at the highest level. While the watch industry has always been inspired by the intricate mechanical movements and open gears, today the exclusive mechanical watches are combined with fresh colors and sporting fabric wristbands to expand the traditional handcraft with a new spirit of youth. Use the advantage of the detailed filter function in our watch shop to find the ideal timepiece for your needs or to discover entirely new watch models. 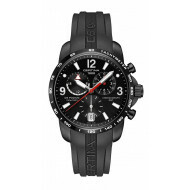 Select the watches based on various manufacturers, bracelets, case sizes and colors. Visit Chronoline.de and benefit from an easy and quick and safe shopping experience, bringing the jeweler to your home. We will be happy to provide advice on new trends and on the functionality of individual watches as well as on the order process at Chronoline. Today we have the possibility to shop online and to make our daily routines easier in a very hectic and stressful environment. Therefore, we would like to offer you the opportunity of shopping your watches online while you do not have to bear a decrease in quality or service. 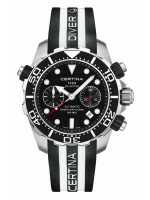 You will find a big assortment of timepieces which covers all facets of the watch industry. 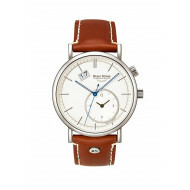 We offer you classic and sporty quartz watches such as the high quality models from Junkers watches. For the technology enthusiasts, we also have a big selection of automatic watches which are characterized by a precise and complex mechanical movement combined with current innovations to fascinate customers around the world. Exclusive timepieces with highest quality standards can be found among the Union Glashütte watches which represent the traditional region of German watch manufacturing. 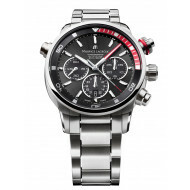 Our online store provides the perfect watch for gentleman, for instance, the sporty chronograph with a stainless steel strap in silver. 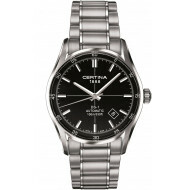 Likewise, ladies will find attractive wristwatches within our assortment completing their awesome outfit. 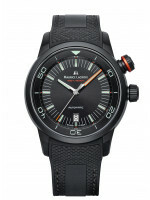 Maurice Lacroix watches astonish with their fine leather straps in shiny colors and their premium materials. 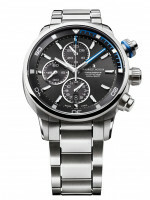 Besides our broad assortment, we would like to convince you of the easiness and the comfort of shopping watches online. We think that watches are accessories of your wrist and accompany you every day. So these watches might be a smart present for your loved ones since they will remember your gift every time they look at their wrist. Hence, this might be a perfect gift for a wedding or a birthday. Bring the jeweler to your home by shopping at Chronoline.de in a simple, fast and save way!